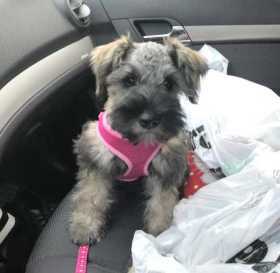 My mini schnauzer puppy Tina was picked up from east 63rd street Hialeah Florida by a man in a grey truck. Please I want her returned. She is three months old and she responds to Tina. Her ears are floppy and her tail is a short stub.